Greetings once again and many thanks for taking the time to visit this Sportspower Toddler Swing Review where we have taken a closer look at what it has to offer plus some of the potential problems that we see with it that you need to be aware of. 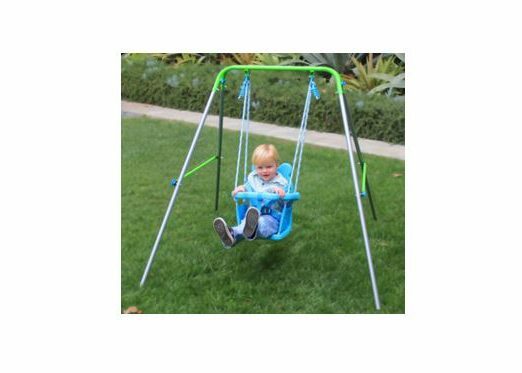 We will also outline and summarize all the main features that this Toddler swing has to offer including various images and all the main pros and cons that have come up in the past from both our own experience and also from several other previous buyers across the market place. In addition, we have also outlined some frequently asked questions that will be of interest to you and additional price comparison options at the end of this page also that are worth checking out if you wish to explore prices elsewhere. Please note though that guide prices can only be outlined at the time of this swing set review as prices can change from month to month or week to week depending on local discount activities so please make sure to view the price checkers provided below to ensure you have the most up to date accurate price information. Q. Can it be folded away after use? Q. Is there a safety harness to strap the toddler in? Q. What age is it limited to? Q. What is the maximum weight allowed for this toddler swing? Q. What are the overall dimensions of this swing? Q. Can the swing seats be replaced with other seats? A. Yes, you can replace the swing seat with other seats if needed. 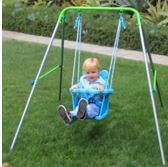 Please note also that it has adjustable safety straps to go around your toddler and can be widened as they grow bigger. In terms of price, the price when last seen on sale at Walmart was in the $30 to $50 region which of course can be double checked below. Small size of 52 by 55 by 47 inches allows it to be used in smaller living spaces and portable to many other rooms. The max age is 3 years – so if you child is 2 and half years, then you will only get 6 months use from it. Constant adult supervision is recommended at all times – do not leave them unattended. Very basic overall and made cheaply but comes with the very cheap and low price tag. Wider also than you think so make sure you take note of the dimensions above and check the room you plan to place it in. 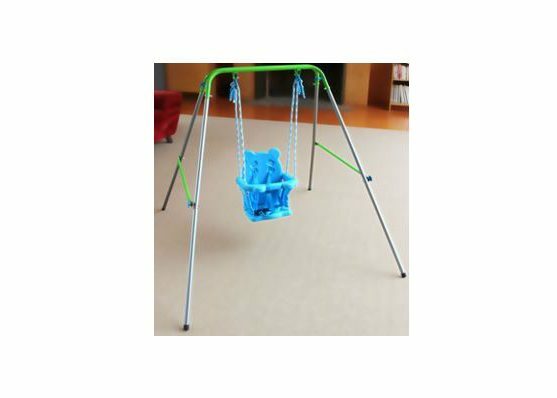 Overall this is a cheap and cheerful mini toddler swing that is somewhat flimsy but is ideal to get you started and you can’t go wrong for the low price that tends to be on offer. 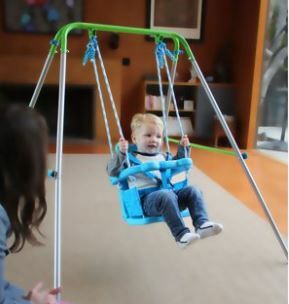 Have you or your kids any personal experience with Sportspower Toddler Swing in the past? If so, then please share your thoughts and feedback with the wider community by leaving a comment in the comment section below – So that they can learn also!!! 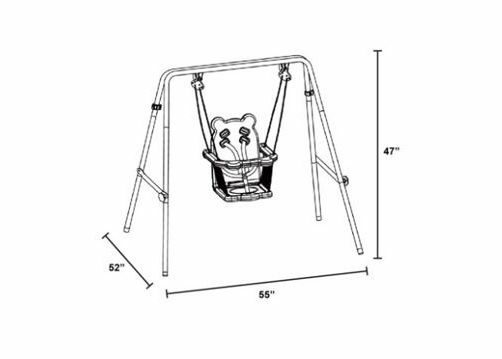 Posted in Swing Set Reviews and tagged Sportspower First Toddler Swing review, Sportspower Indoor My First Toddler Swing, Sportspower My First Toddler Swing, Sportspower Toddler Swing, Sportspower Toddler Swing set, Sportspower Toddler Swing set review.